Personally I would not recommend relaxing by yourself, if you can its best to go to a hairdresser and get a professional to do it, alternatively get get a friend/relative to help you. I have had many bad experiences with professionals, so when I can I get my mummy or my sis to do it so that I have some control over what is going on. The subtitle of this blog is 'Relaxed and Desperate', and in my very first post 'A little but of Vanity' I showed you the results of not self relaxing the right way...i.e. globbing the stuff on your head hoping its straight and then washing it out( but not completely). In desperation, if you must self relax I would suggest a) a timer b) someone to help you wash out. Make sure hair is properly neutralised and you have got it all the product washed out. Use all the neutralising shampoo if necessary and make sure you get the product out at the back. Again I recommend you see a professional and note that the tips below will not guarantee your self relaxer will work. This is just a run down of my regime and what works best for me. Whether you do it yourself or get someone to help you, if you are doing it at home I found these tips very useful. I have done some serious research on this finding myself, once again relaxed and desperate. When I do relax my hair at home I get prepared and I give myself a week to get all the pre-relaxer things done. Use a clarifying shampoo to remove excess build up. Before relaxing your hair should be clean and healthy. Then I use a mixture of Elasta QP DPR 11 and Mizani Moisturefuse Conditioner as my conditioner. I leave this in for an hour with a plastic cap on. Before relaxing make sure hair is strong. Day of Relaxer - Give yourself the day to prepare etc. I put coconut oil on my scalp especially places which have been itching (do not scratch before a relaxer - believe me it will so burn) Also use this on hair line (some people use Vaseline - Really this step is to protect the delicate parts of your scalp). The long hair care forum is forever helpful and I recommend joining. Most of the products you may need are available at Leilu's Amazon. I tend to wash hair out then put in a reconstructor ( Joico K-Pak) for 5 minutes, before using the neutralising shampoo10 times to make sure relaxer is completely out. get someone to check you have got it all out. This is very important! The 5 minute reconstructor is sort of a way to protect the hair before shampooing with the neutraliser. I then use the deep conditioner in the pack, but also condition a second time with my deep conditioner mix containing egg leaving under a plastic cap for an hour. I hope this is helpful for self relaxer but remember to make sure the relaxer is completely out, to take your time and be gentle with your hair. If in doubt see a professional. Final tip: Practice with some conditioner and a timer so that you know if you will be able to do it in the recommended time. In an earlier posts I commented on my disregard for shampoo. I have recently discovered that depending on your hair type, shampooing or should I say cleansing the hair and the amount you do it is indeed important. I thought I should comment on some of the other techniques you can use instead of or alongside shampoo. In this post I am really talking about most generic shampoos not cleansers. If you are intending to use shampoos with sulphates please see my tips. Only use 50p sized amounts - this is enough to cleanse the hair. 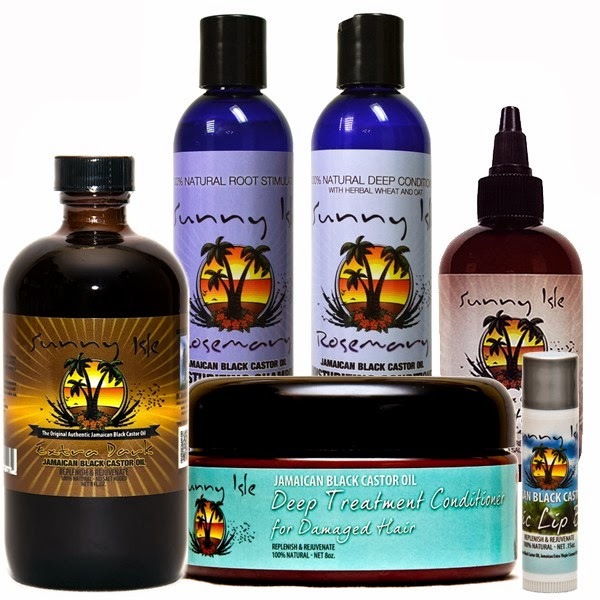 There is no need to over lather the hair - you only want to remove dirt and build up. Try not to overly manipulate your hair whilst shampooing - as this can cause breakage, so treat it gently. Shampoo the roots of your hair and the scalp. Clarifying shampoo are great for removing excess build up on the hair shaft - I would only do this once month. Cleanser can be a much milder way of cleansing the hair. Protecting your hair from the harsh shampooing process. Provides a barrier between the hair and the harsh detergents in the shampoo, and is absorbed into the hair shaft. My post How to Pre-Poo is a good start to starting your prepoo regime, but no one know better than you what works for hair, so try a few different things and let us know what helps you! Co -Wash rather than shampoo. Co washing is cleansing the hair with a conditioner rather and a shampoo. Excellent if you have an active lifestyle. Going to the gym and shampooing everyday is a definite No, No. This cleanses the hair enough and is great whilst streching your relaxer. I co wash twice a week after I am more than 6 weeks post and shampoo once a week usually on the weekend so that I can deep condition. At the end of the day, You know your hair best, shampoo when you think it is needed, but be careful of doing this too often. Not a product arsenal as such and I am by far no product junkie. I tend to finish a product before moving on to try a new one. Keeps it all neat and tidy and logical. I put on a plastic cap and wrapped in a towel for 2 hours while watched a film. I think it was probably the castor oil that did the trick! I wont trim my hair until I relax it next week and I will post pics of my new growth then with a nice trimmed straightened head of hair. I still refuse to use heat but I am so tempted especially as I have a wedding to go to next week. In my earlier posts I talked quite a bit about using products from this range so I thought it was time to give little review of these products. 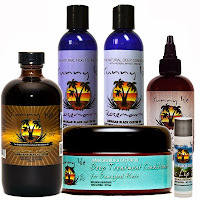 When I started my hair care journey, I had really damaged hair that was coming out in my hands in clumps. I started off only using products from this range and I have to say they saved my hair. The Key ingredients in the Vital Force creme bath are shea butter, sesame and jojoba oils, hydolized keratin, castor oil, rapeseed oil derivative, panthenol. Although they are expensive I found them worth every penny. The phytospecific styling balm and the relaxer from this range did not make too much difference to my hair and other relaxers like the Olive Oil ORS I have found to be much better. 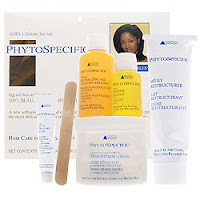 Instead of the styling balm I found Phyto 7 Daily Hydrating Cream For Dry Hair to be much more beneficial. 4. PhytoSpecific Vital Force Creme Bath for Damaged, brittle hair is an excellent deep conditioner but at £20, I also use the mix I described in 2 and a moisturising conditioner by Joico. Just for a quick update, this is the new growth I was talking about, Might not seem like much to most people, but I am so proud, I doubt my hair has ever gotten to this length. I am 5 weeks post relaxer and as I am off on holiday in three weeks i will be relaxing just before i go at eight weeks post relaxer. I have still been using JBCO which is really good and makes my roots feel so soft and easier to comb. Still experiencing breakage and I really need this to lessen a bit. Going back to do some research as I though this was mainly due to using too much protein, but will let you know what I discover. I just watched the trailer for Chris Rock's new film 'Good Hair' and although it made me laugh it made me think about my own hair journey and the lengths I have gone to, to 'tackle' my hair's natural texture. The more I researched around this I wondered why I do all this stuff to my hair? Answer: I don't do it to look glamorous or pretty or anything but just to look 'presentable', but why don't I think my natural hair can be neat and presentable? Obviously African Americans have a slightly different perspective on this but it isn't far off what I see with the black people here in the UK and black people I have encountered around the world. Here in England I live and work in a predominately white area and I remember trying to describe my natural hair to some colleagues at work and the laughter was amazing, that people thought it was funny was just incredible. 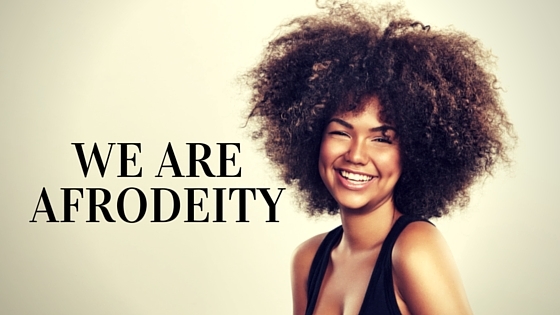 Generally, in the UK, curly hair is ridiculed(whether you are black or white) and the politics surrounding wearing an afro is one reason some might shy away from those types of styles. The fact that all the black girls on TV, the role models, the people we want to emulate and look like are relaxing and wearing wigs and weaves, is it any wonder that young impressionable black girls/black women relax, weave , perm, hot-comb their hair, anything they can to look 'beautiful'! I think in the UK it is mainly a problem of self esteem amongst our children. The same crisis that our black children have over their hair is similar to the crisis that many white children face over their weight. Being black we may not feel that their inner turmoil about being a bit on the large side isn't as big a deal as the natural versus relaxed argument, but if you think in terms of the fact that its all about how we feel about our selves we start to understand where it all stems from. Feeling good about who we are and loving ourselves for who we are. Will I stop relaxing my hair?, probably not!! I have just gotten away from covering my hair up with braids and weave and now wear my hair relaxed, at least at the moment its mine. Eight years ago after having all my hair pulled out by braids, I immediately got a weave to cover up my natural hair, like a hat. Now that I have the confidence to wear my 'own' hair, and that really took alot to get to this stage, maybe in the future I will have the confidence to wear my 'own' natural hair. One step at a time. If I had a daughter, I cant imagine relaxing her hair until she was at least 14 and as long as she knew what she was getting into - an expensive cycle of repair which is really hard to reverse. I cant imagine that I will change today or even tomorrow but it made me think about going natural and it made me really think about what it would teach my daughter. I wanted my hair relaxed because of how beautiful 'I thought' my mum looked, do I want that cycle to continue? I think as long as she knows its her choice and she is beautiful no matter what she does with her hair and that it doesn't have to be straight and silky to be beautiful. 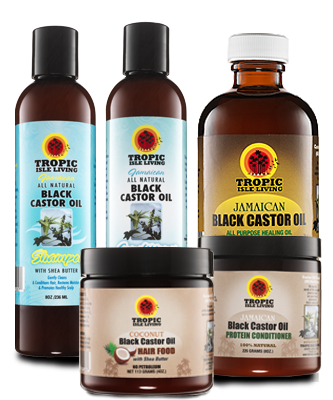 I have just tried Jamaican Black Castor Oil for the first time, as recommended by several American blogs on the internet and was amazed. My hair felt like silk. I put it on my hair and covered with a plastic cap for an hour (doing housework etc) before washing out with the Boots Coconut and Almond Conditioner. I then used the Joico Moisturising Repair Conditioner as my main conditioner and my hair feels so clean and velvety today. Amazing!! My roots also feel softer and easier to comb and the breakage has let up slightly but still some broken hairs. I am hoping prolonged use will decrease this. I doubt this is a miracle product but so far I only have good things to say about this. 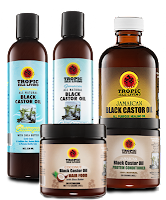 "Jamaican Black Castor Oil is know to cleanse toxins from the scalp, nourish and thicken the hair, stimulate hair growth, moisturise dry brittle hair, repair split ends, and give hair body and bounce." Also the stuff I ordered from rootsnsculpture turned up today, so top marks for them as I was unable to find Elasta QP DPR anywhere else online ( posting from the UK) and now have a nice big pot. I have heard good things about this also, so will keep you posted. OMG! I just let my hair down as I keep it up in a twist with a hair pin 100% of the time and never let it down. It is just above shoulder length and I am only 4 weeks post relaxer. Quite a lot of growth. Will upload pics soon. I am just so amazed that all the care and attention actually works. I was getting a bit disenfranchised with the whole looking after my hair thing, but I think I will perceiver. The ends look really thin so will definitely need a trim after next relaxer. I am experiencing quite a lot of breakage and so am trying to minimise the amount that I manipulate my hair. Hardly any combing, and I am currently not combing it through. I just keep it in the same style and cover before bed. It is quite thick at the moment due to all the growth as well so combing probably not a good idea. I ordered some products from rootsandsculpture.co.uk another site I decided to try out. Hoping to get Elasta QP DPR which I have heard good things about and Wave Nouveau Moisturising Lotion. So far the customer service from Roots and Sculpture has been good, but will let you know.